He smashes you with his stomach. He hits you like a ninja star. Comments : He cannot lose life. 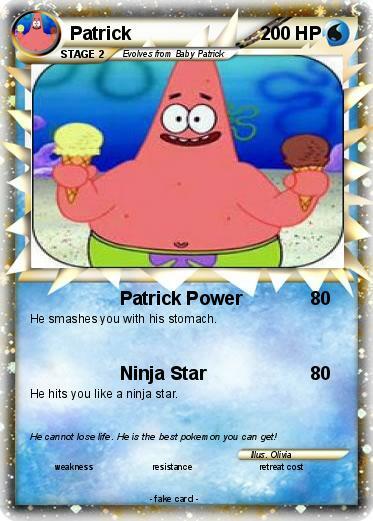 He is the best pokemon you can get!